A former Israeli government minister charged with spying for archenemy Iran will serve 11 years in prison as part of a plea bargain with authorities, Israel's justice ministry said Wednesday. The ministry said Gonen Segev agreed to the deal after confessing to severe espionage and passing information to an enemy. The plea bargain will be brought to a judge next month and no further information was provided. The announcement capped another stunning turn of events for Segev, who served as energy minister under Prime Minister Yitzhak Rabin in the mid-1990s and was later imprisoned for trying to smuggle drugs into the country. Segev was extradited from Equatorial Guinea and arrested upon arrival in Israel last May on suspicion of acting as an agent for Iranian intelligence and relayed information about the "energy market and security sites in Israel." Israel's Shin Bet security service initially said Segev met with his operators twice in Iran, and also met with Iranian agents in hotels and apartments around the world. A gag order was placed on most of the details. The allegations were particularly grave since Israel and Iran are bitter enemies. Israel considers Iran to be its biggest threat, citing Iranian calls for Israel's destruction, Iran's support for hostile militant groups like Hezbollah and its development of long-range missiles. Israel has been an outspoken critic of the international nuclear deal with Iran and welcomed the US decision to withdraw from the deal. More recently, Israeli forces have carried out a number of airstrikes on Iranian forces in neighboring Syria. In August, Iran's intelligence minister boasted on state television about his country's successful recruitment of a former Cabinet-level official from a "hostile" country, though he did not mention Israel or Segev by name. 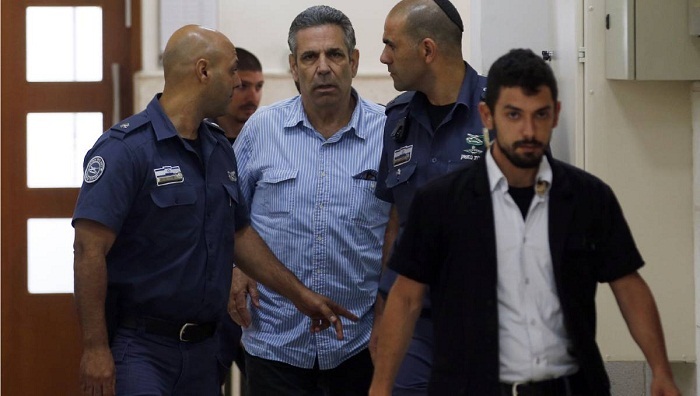 Segev's lawyers, Eli Zohar and Moshe Mazor, said they were still prohibited from discussing the full details of the case but that the plea bargain removed the initial charge of treason and brought the affair back to its proper proportions. "Indeed, Mr. Segev did have contact with the Iranians but his motive was not to 'aid an enemy during war,'" they said in a statement Wednesday. Segev was previously arrested in 2004 for attempting to smuggle 32,000 illegal Ecstasy tablets from the Netherlands to Israel using an expired diplomatic passport, and served prison time for that. A former doctor whose medical license was revoked, Segev was released from prison in Israel in 2007 and had been living in Africa in recent years.